the REAL origins of Batman..., originally uploaded by lone_goomba. this is for a draw off. the theme is batman vs the joker. 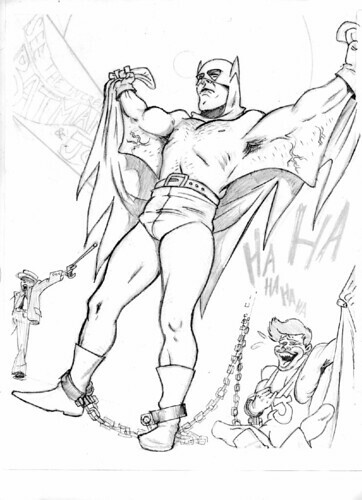 but instead I've reinvented batman as having a secret past as a circus freak.